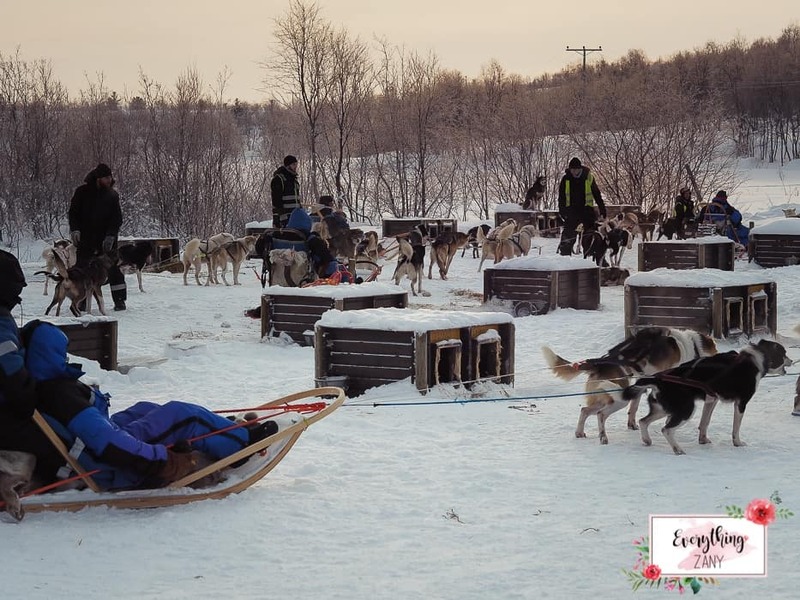 This Arctic hotel was totally the coolest hotel I’ve ever stayed in! Kirkenes Snow Hotel — Early this year, I went on an exploration cruise with Hurtigruten in the Arctic region of Norway. I was so excited about as it was my first ever cruise and this is not just your ordinary floating hotel type cruise. This cruise has character, is eco-friendly and promotes sustainable travel. So that alone was cool! In addition to that, this was an Arctic exploration cruise. 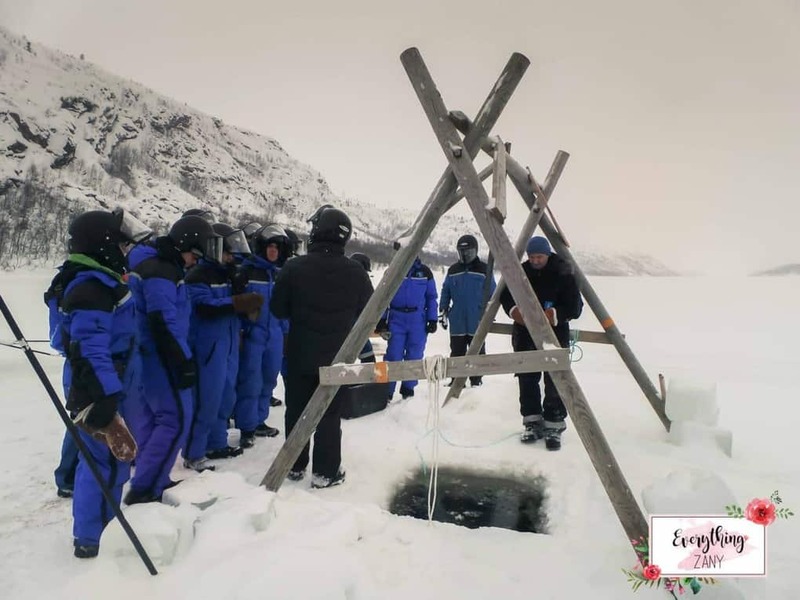 Kirkenes is located further north than the mainstream winter destination in Scandinavia — Lapland. So, when we visited this Northernmost town of Norway we were literally at the top of the world here! See these amazing images to inspire you to visit Norway in the winter time. If you need a visa to visit Norway, you can check out my guide on how to get a Schengen visa. To stay in this hotel, you can check their availability and prices! I was welcomed by the staff and owner of the Kirkenes Snow Hotel upon arrival in one of the Northernmost towns in Norway. My stay in this arctic hotel was truly a once-in-a-lifetime experience. A mixture of excitement, a personal challenge if I can survive the cold weather and the novelty of the whole experience sunk in when I arrived at the hotel. I was travelling with my fellow journalists & bloggers, and we were briefed and greeted by the reception staff and the owner of the hotel as what to expect during our stay. 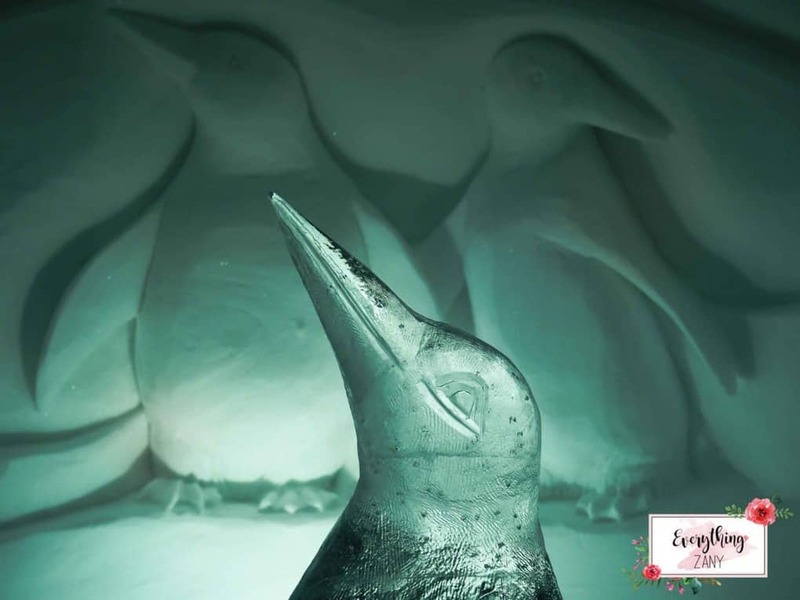 The staff of the Snow Hotel were attentive and helpful to all the guests. 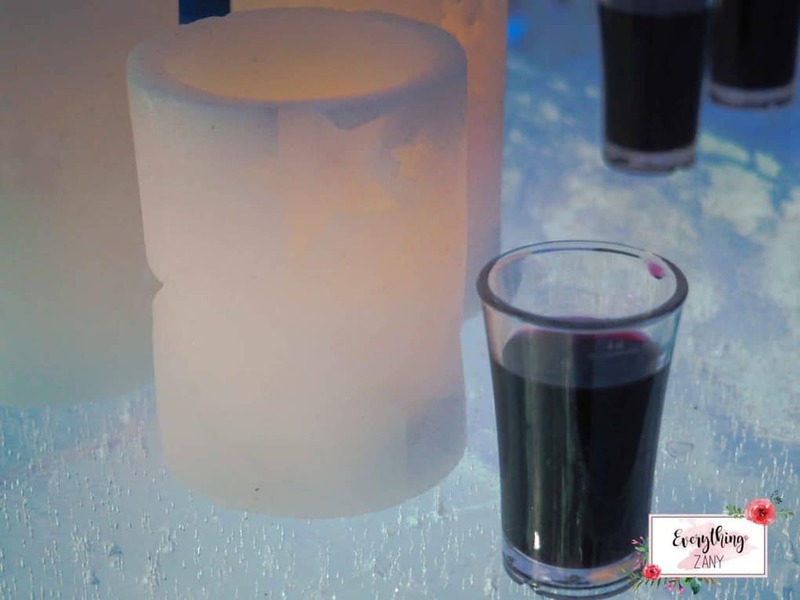 During our dinner, we had a little presentation about the history, info about Kirkenes and full instructions to have the best night sleep you will ever have in the Arctic Circle inside the ice cabin. 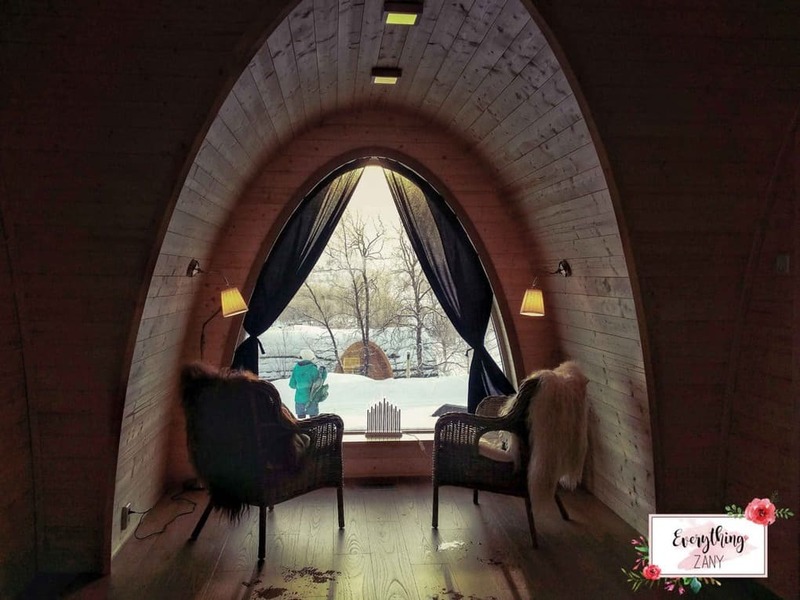 How to survive and enjoy an igloo hotel. The hotel will provide you with a sleeping bag that can keep you warm up to -30 Celcius, a balaclava, woolly socks and linen as an extra layer and hygiene while you’re inside the sleeping bag. The staff of the hotel will assist you and give you the full instructions on what to do. For your own safety, it’s advised not to have a shower before going to bed (for obvious reasons). I found it difficult to sleep on that evening as I can’t believe that I’m in an igloo! The facilities in the snow hotel were suitably perfect for its purposes. 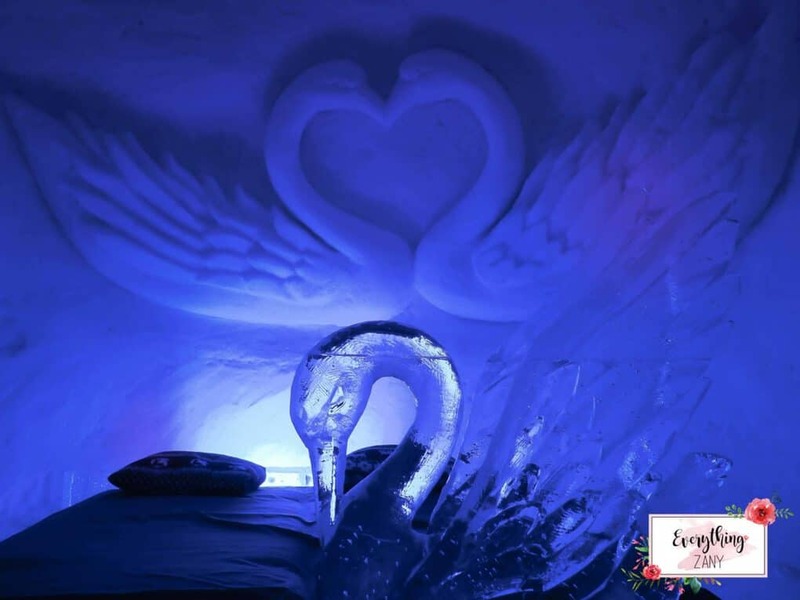 As an ice hotel, the ice cabins were beautifully carved with different scenes or characters and has a double bed. 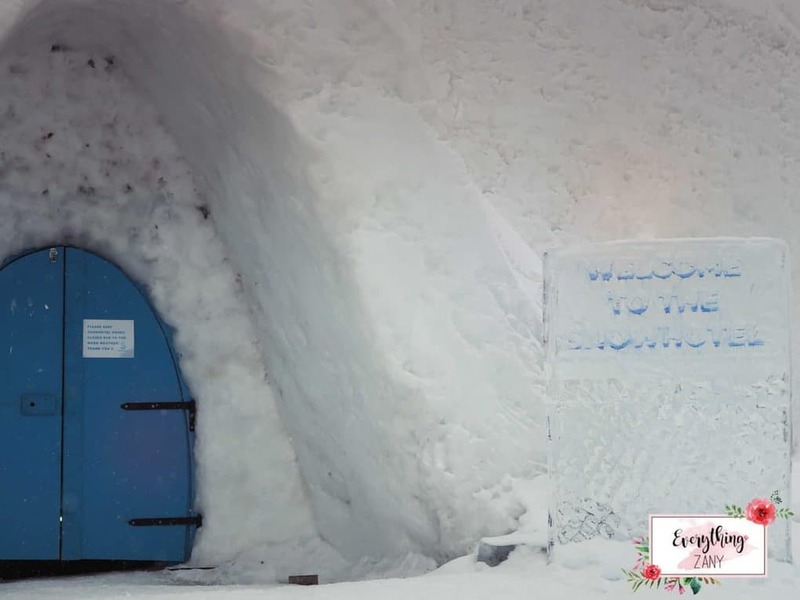 The Snow Hotel has three restaurants plus an ice bar. 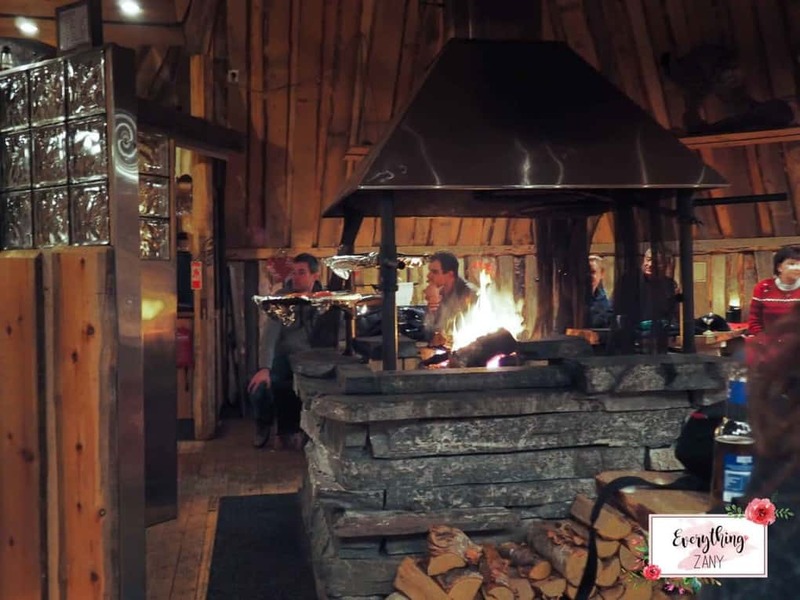 The restaurants offer a selection of local dishes which I would recommend that you should try! It was my second time to try reindeer meat, this time it was a sausage (the first was when I was in Iceland). The Ice cabin was an incredible experience! It’s definitely something that you should include on your bucket list. The only thing that you can find inside the ice cabin is the bed and pillow. The staff will give you an appropriate sleeping bag, socks, balaclava and a flat sheet. 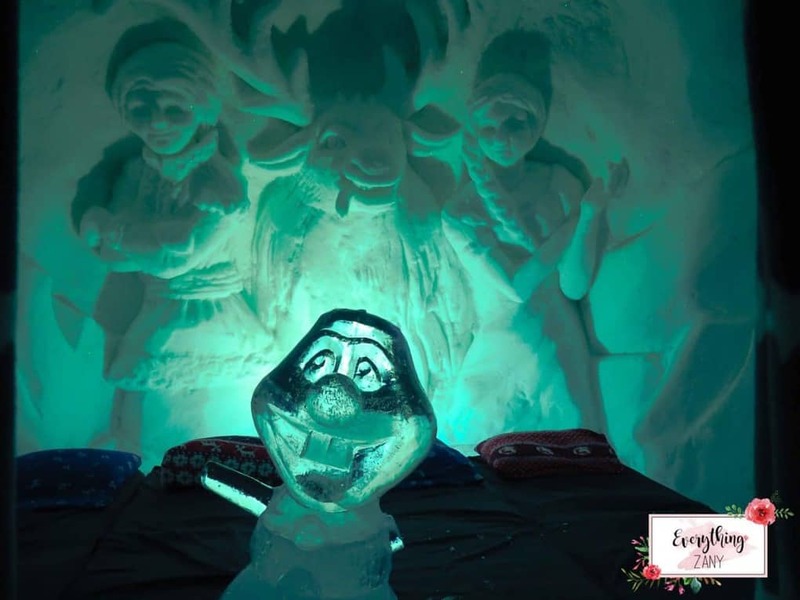 The ice carving is unique in each cabin and the design is changed annually. I slept in Cabin number 6, which had a polar bear ice carving on the wall! 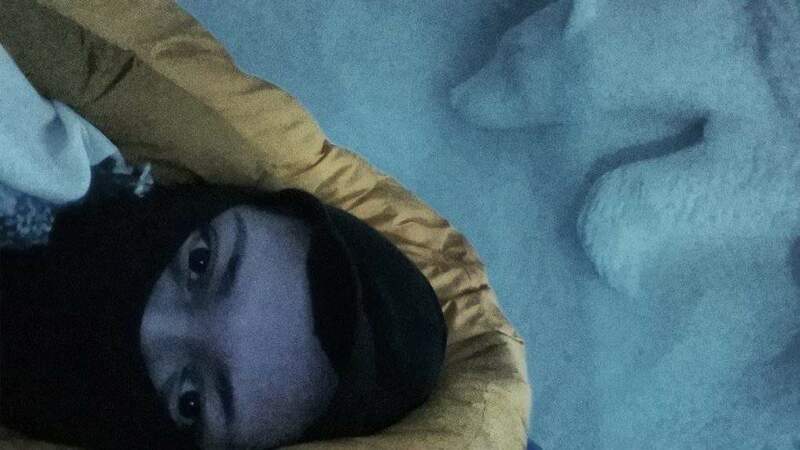 Sleeping with the Polar bears in the Arctic region, why not? 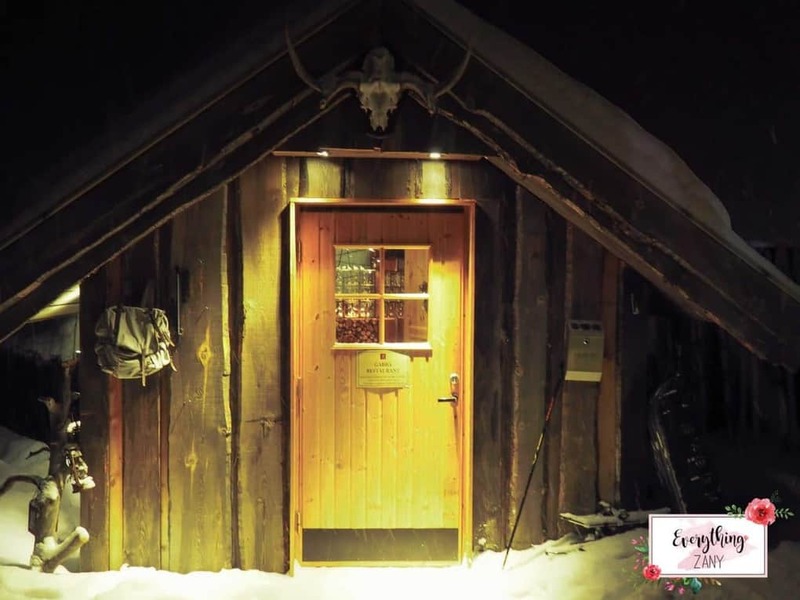 If you think you are not up to sleeping inside the Ice cabin, the Snow Hotel Kirkenes also has a wooden cabin option. The wooden cabins are en-suite and were cosy. The cabins are equipped with eco-friendly and sustainable materials and technology. They are fully Arctic weatherproof. Just imagine yourself in this warm cabin while watching the Northern Lights! Oh, heaven! 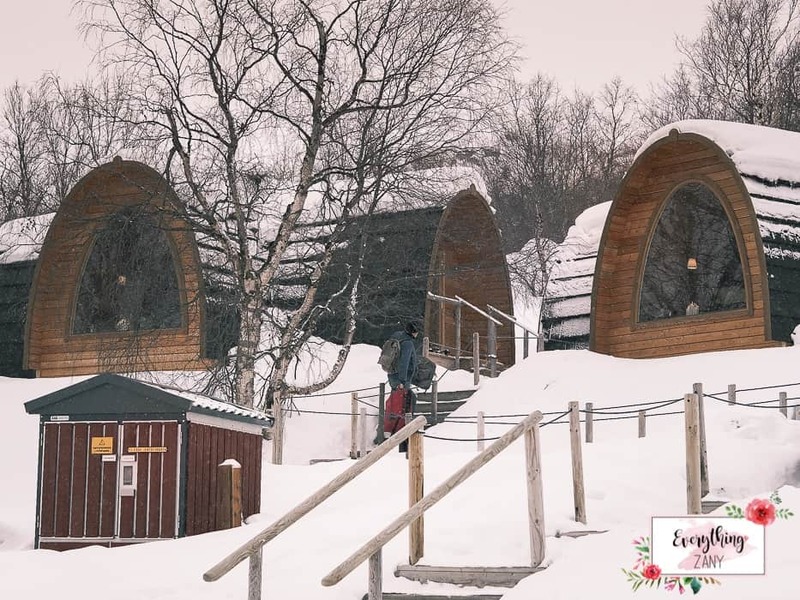 You can also stay in the Snow Hotel Kirkenes during the summer season, however minus the ice cabins. The hotel is surrounded by the beautiful lakes, they are linked to the Baltic Sea. The town of Kirkenes is also close by to the Northern part of Finland and Russia. 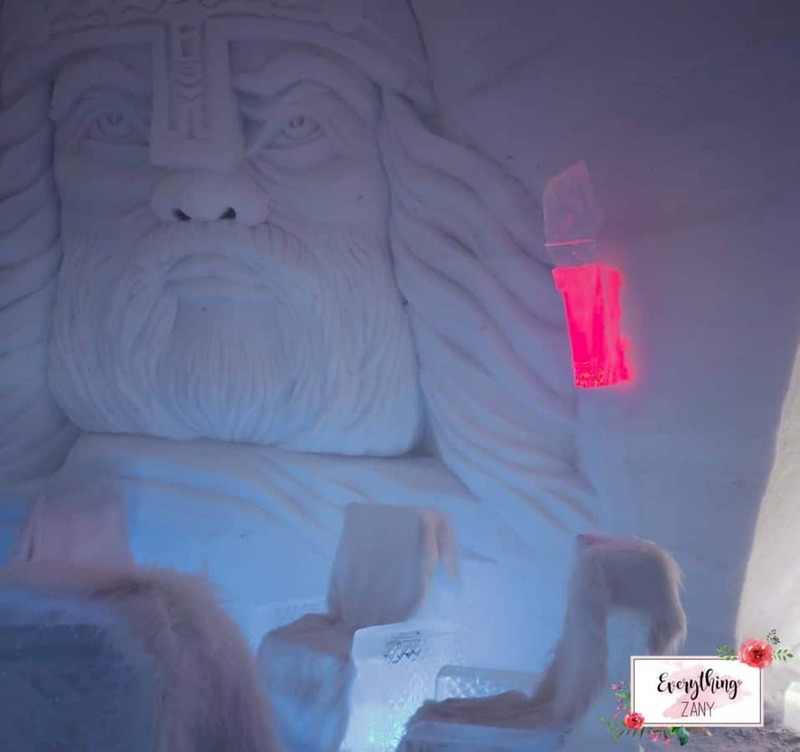 Kirkenes Snow Hotel is a unique hotel I’ve ever stayed. I think the only comment I have in this hotel is their luggage room, during our stay, our luggage is located in one massive room which all the guests have access to. Given the icy circumstances, it’s understandable, however, A luggage locker or cubicle will be a great plus an extra safety amenity. If you’re someone like me who values experience this definitely should be in your travel or life bucket list. I definitely recommend this unique hotel to anyone at any time. Let's Talk About the Ratings! Been to Kirkenes, but didn’t stay over night. Next time. That looks like a fantastic experience! What time of the year were you there? That looks amazing, we really want to visit a snow hotel and see the Northern Lights. Those King crabs are huge. Seeing the Northern Lights is my dream and this experience looks incredible. Just one problem, I do not deal with the cold very well at all. Do you think I could handle the snow hotel? 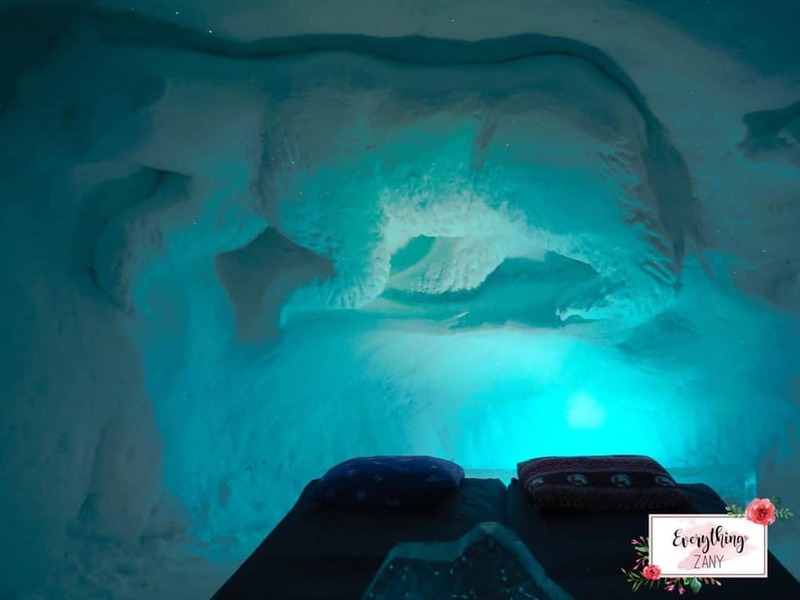 Gosh what an amazing experience – I’d love to stay in a snow hotel, though I am not sure I’d be brave enough! Did you really stay warm? How lovely! Never been to Norway and seeing the northern lights and sleeping in an igloo is one of the dreams. I have done snowmobiling and it’s real fun. Looking at your pics I just want to fly there NOW. What a fabulous experience. I love winter destinations and snow hotels are such an adventure. 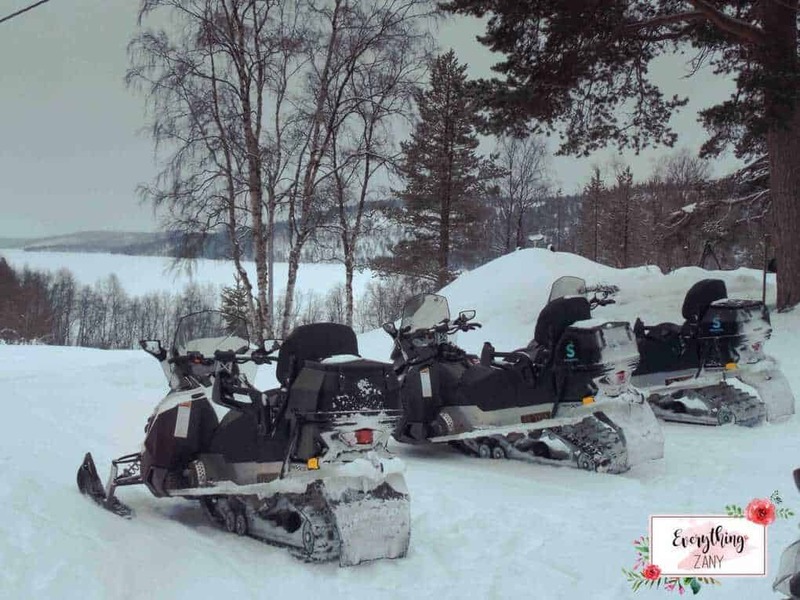 Kirkenes looks like it’s right up my alley as do the winter activities. I didn’t realise there were crabs in the region at this time of the year though. wow! 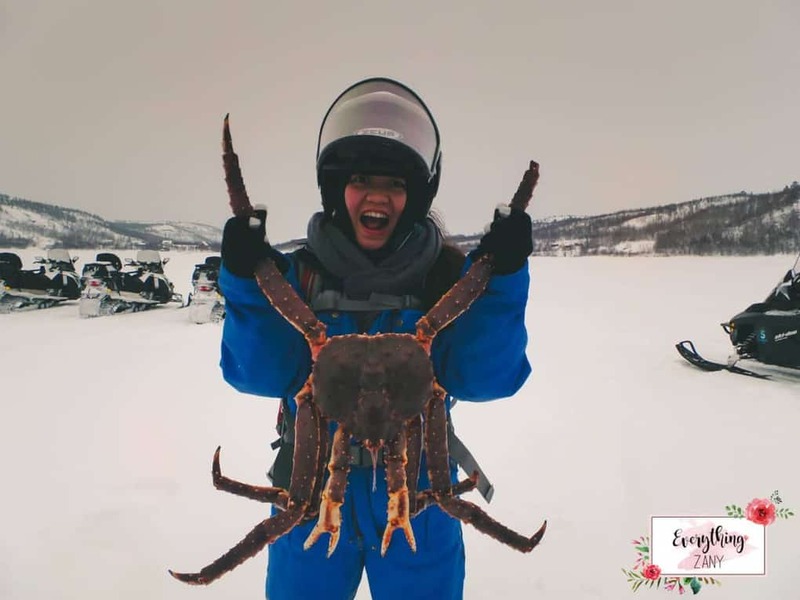 that’s a giant king crab. One of these days I’m going to actually do an Arctic tour. Every year I plan one but then chicken out at the thought of being really cold. Whoa! Amazing! I have read about this hotel. They have executed a brilliant idea and I can understand why tourists get there. Hopefully I can too some day! That crab scares me. Not sure if I would like to stay in a snow hotel! It would be an experience that’s for sure. but I think I’d prefer somewhere a bit warmer myself!